Private property, not available for visits. 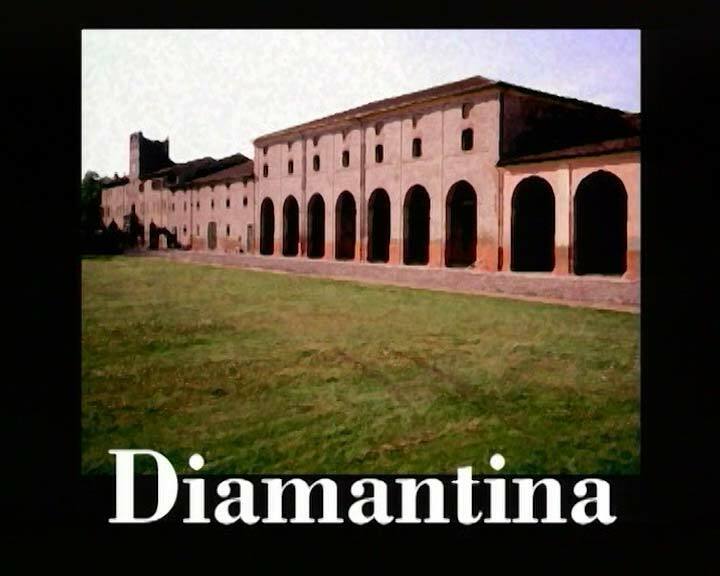 In the countryside near Vigarano Pieve we can find the striking buildings of the “Diamantina”, homonym of the part of the lower Polesine di Casaglia named after one of the emblems of the House of Este, the diamond; “almost fell to bejewel a desolate boscage and forlorn lands, “as Riccardo Bacchelli wrote. After collective ownership by the Settepolesini community, the estate was sold in 1506 to Duke Ercole I for a paltry fee. Since 1590 this populous village was noted as the headquarters of a “castalderia” (stewardship) with farmhouses built during the Este period. The palace, complete with stables, kitchen garden, large barns and a beautiful dovecote tower, was the administrative centre of the estate. In 1870 Baron Camerini became the proprietor of the “Diamantina”, and proceeded with restoration work and the construction of a chapel. The estate had several different owners after this and, as a result of mechanical land reclamation, the area has become productive and rich with crops. It now belongs to Dr. Enzo Cavallari who has used several rooms of the palace to house a substantial collection of agricultural machines, materials and objects.